Once you got off the highway, it was a long stretch through typical small town America, nothing out of the ordinary. As soon as you get closer to Millersburg, Ohio, the hills begin rolling like ribbons on a highway. It’s the first week of October and the trees are touched with orange and red; fall is here and the colors are just starting to change. I can remember saying, ‘this is one of the most beautiful places I have ever been. As we get closer to Millersburg, the woods are thick between fields and scattered homes and farms. There are no more small towns to go through and the GPS seems lost itself. After we pull into what did not look like where we were supposed to be, I am texting with Brad Snow, the owner of Killinbuck Outfitters, “Keep pulling in to the end of the road”. It’s almost dusk now, but as we pulled up, the faces of the one of the TV show crews become familiar, some of them are filming. Another one shooting his bow into a target about 20 yards away. Behind the trucks parked alongside each other, was the lodge for the hunters and cameramen. The hunting lodge is one of the accommodations available for larger groups, but we’re the first large group Brad has ever taken and this arrangement was made by a special request for a sponsored contest. Normally, he will only hosts 2-4 hunters at once. As I walked back toward the kitchen, the patio door opened to a wrap-around deck in the back, and what I saw was a part of Ohio that I never knew. Dense, wooded slopes and valleys, all different colors, and the slight haze in the background – the view was stunning! Weeks prior to this hunt, Brad was managing food plots, setting up game cameras and locating shooter bucks for his clients. Before every client comes out, he is spending time patterning the deer and making sure that his tree stands are located for the highest success rate for his clients. 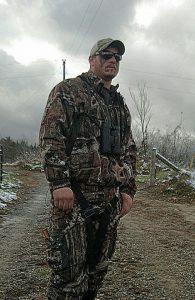 Brad runs the business himself and you can see the passion he has for hunting and guiding. Without hesitation, he is anxious and ready to get up long before all of his hunters are awake to make sure they are picked up and dropped off in plenty of time before the sunlight touches the horizon at each of their hunting locations. 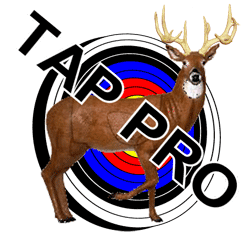 He offers tree stands, ground blinds and box or tower blinds, for whatever his clients prefer. Holmes County, Ohio just happens to have the largest community of Amish people in the United States; about 36,000 Amish on an average, and most are centrally located in Holmes County. According to Wikipedia, that’s about 42% of the entire Amish population in the world. Brad is also the owner of a logging business, called Brad Snow Logging, and regularly does business with the local Amish community. On one of my trips to the local Walmart on the night I arrived, I had never seen so many Amish people in one place – over 50% of the store. Everybody shops at Walmart! Same Walmart as any other I’ve been to, but the customers are way different. Not for long – Ohio is still a sleeper state, and just discovered as the next biggest thing in the hunting industry. Some of the most recognized TV shows have already hunted with Brad, and soon you won’t be able to book without a getting at the end of his waiting list. If you’re noticing Ohio being mentioned a lot lately, that’s because there are deer on their way to making the record books. 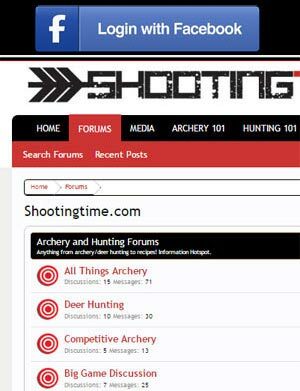 Bucks that have had limited contact with hunters, and humans in general. Three years ago, Brad realized he could share his passion of guiding and started offering hunts on his leases, but needed a plan to carefully manage the resources. 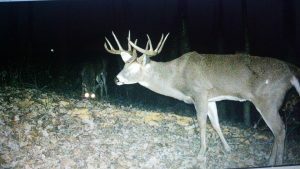 With his set up, there is not another hunter within miles of your strategically funneled location with watering holes, food plots, and you are going to get the best opportunity to see more deer per day than you’ve ever seen, and perhaps that one trophy buck that you will want to harvest.